The body and neck are made from Brazilian cedar. The alternatives at the time were spruce or poplar but given that I was going for an all-over paint finish, John Smith recommended the cedar. The nut is brass, screwed in to the end of the fingerboard. This is a Gordon-Smith feature on many of their guitars. The bridge is a tune-o-matic type with a stopbar tailpiece, origin unknown but perfectly decent quality. This was an upgrade over the standard wrap-around bridge, because when I tried some GS guitars before buying, I found the bridge posts on the wrap-around bridge were too big and dug into my hand when I was palm-muting. 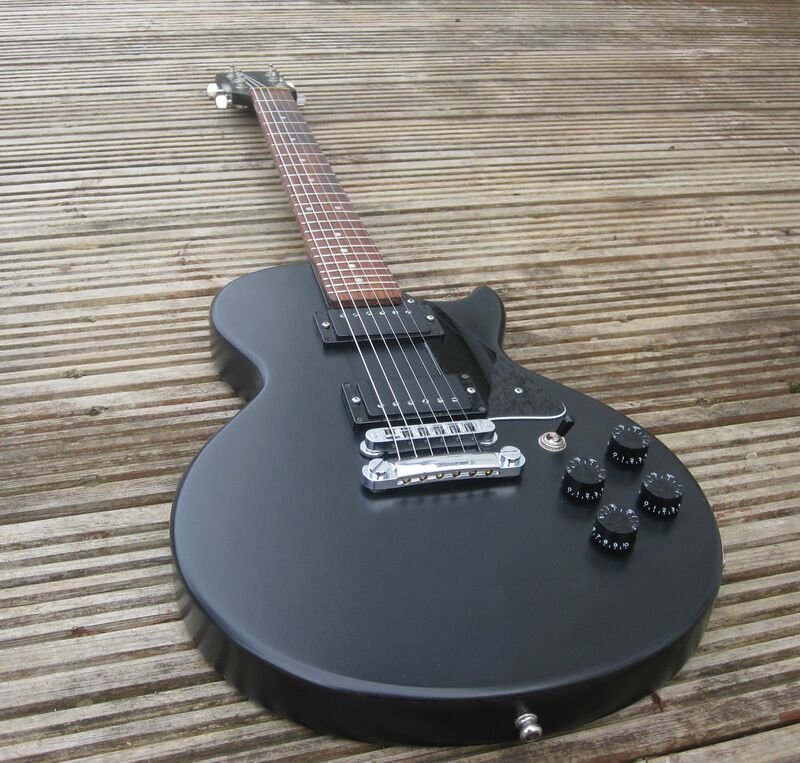 I haven't owned many guitars (about eleven, I think) but this is my favourite of all of them. It's a good, solid, no-nonsense rock guitar. 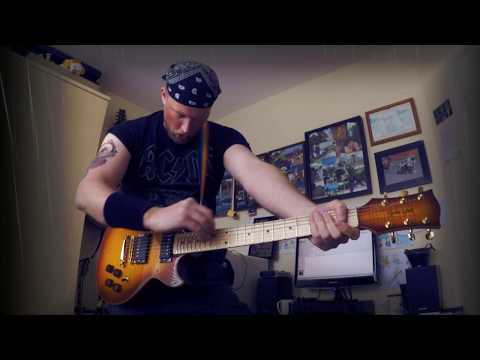 It captures the sound of the humbucker roar I have in my head very well and is capable of a wide range of sounds (all but one of the solo of the month entries I have played have been on it). I often play quite hard and it is absolutely up to being thrashed. Gordon-Smith guitars are sometimes described as being workhorses and this is what I like about it. Cool review. When yours was built, they were about 15 minutes from where I live. I've played plenty of good ones over the years. 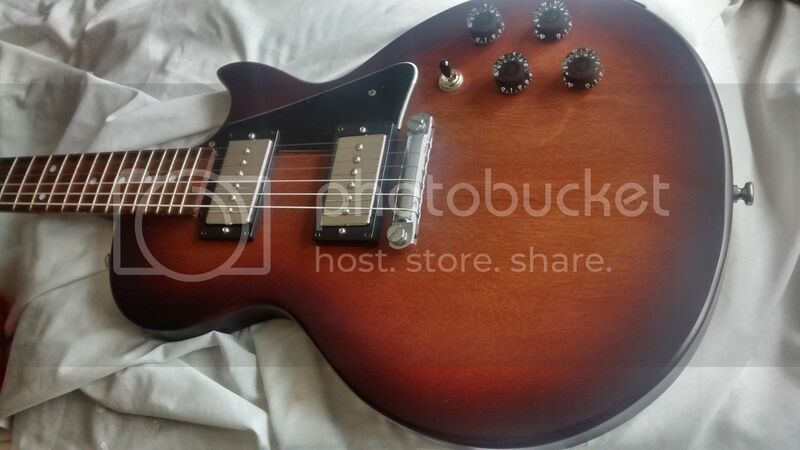 I really like the lack of pretension with GS guitars. I hope Auden succeed with the brand. The fact that GS managed to keep a UK manufacturing business viable and going for as long as they did, in a market that's driven either by headstock logo or Chinese pricing levels, is pretty amazing. I guess the way they did it was by comprising on some of the materials and QC standards, but when you get a good 'un, you've got a good 'un! Thanks @richardhomer - it was made in or around February 2011, which is when I ordered it with the options as described, but given the way GS operated I assume they had a stock of bodies and necks waiting for assembly. So possibly bits of it were made earlier. Either way, it would have been the original "factory" near you. @horse - the natural finish is the classic GS finish of course. Is yours the thicker bodied GS? I've been wondering about pickup upgrades (I think we had this conversation on another thread!) but tbh there's nothing actually wrong with the stock ones. I have a GS2 also and I'm surprised to read about a chunky handful of neck. Mine has the slimmest, easiest neck of any guitar I've ever played. Nice photo @minimoog, that's a lovely colour. I haven't played enough Gordon Smiths to know, but it wouldn't surprise me if there was a lot of variation in neck sizes and shapes, given they're all hand made. And of course what feels "slim" to you may be "chunky" to me - I have quite small hands. 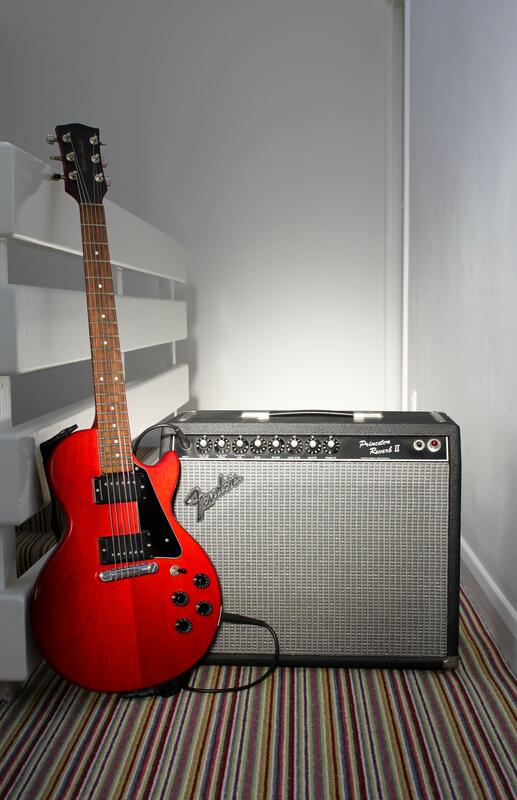 But I had a US Tele and that definitely was slim by comparison with my GS - in fact, almost too slim. I prefer a bigger neck. I picked up a GS2 double cutaway in Chandler's recently. It was sat there looking a bit battered and well loved. I tried it out. Played it over and over and over. Called Gordon Smith with the serial number and they told me it was from 1987. All mahogany. Coil taps on the humbuckers. Terrific guitar. 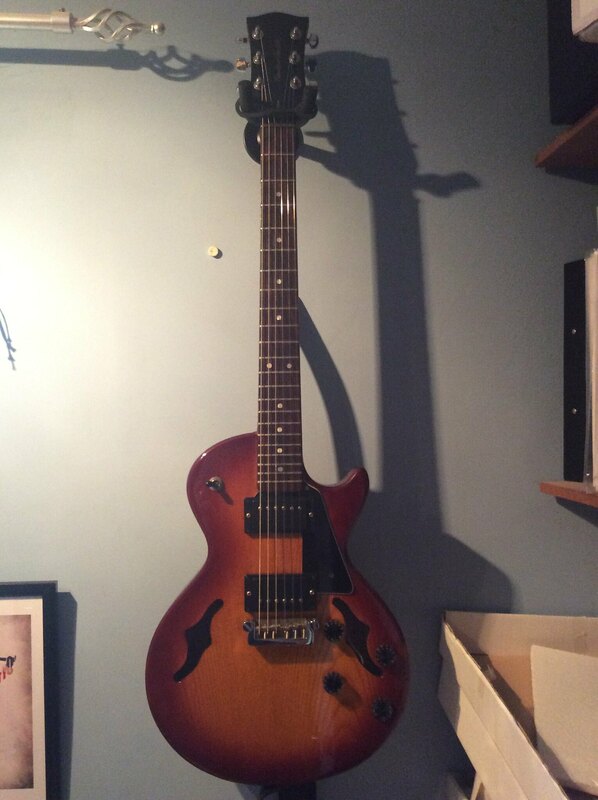 Bought it, but wanted something of a different sound so stuck a P90 in the neck - also has a Duncan Custom Custom in the bridge for added weight. Can't seem to embed it from Instagram, so here it is with the P90s before I stuck the Custom in. I was originally looking at getting a Gypsy (the normal model, not the semi-acoustic model), but because I wanted a matt finish and the tune-o-matic bridge, it was cheaper to get the GS2 with those updates and the thick body option. 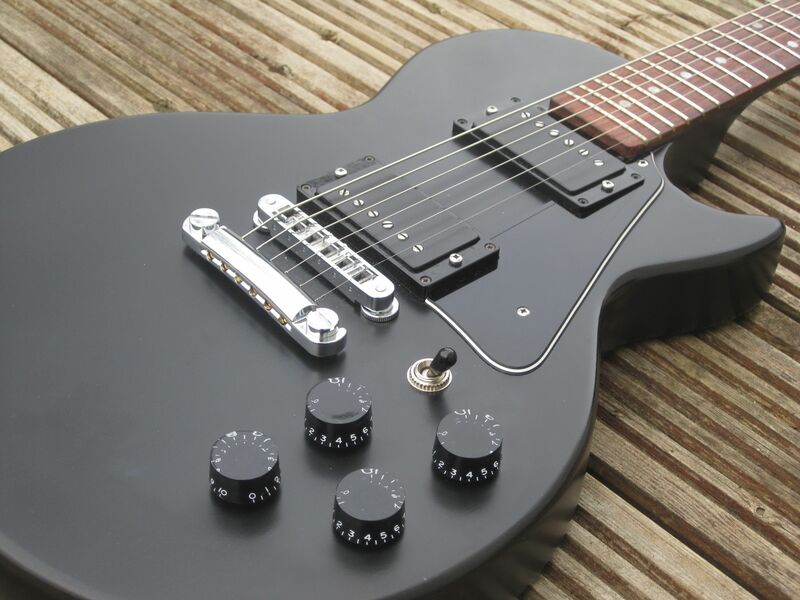 The standard features of the Gypsy were an fully adjustable all-in-one bridge, thick body and a gloss finish. Basically, the difference in price boiled down to the gloss finish. Otherwise the GS and the Gyspy were the same (as John Smith confirmed when I asked him). @Tempest - you got pics? @richardhomer Go and check out the range in Forsyths. The new Gordon Smiths are really well made and finished, much better than previously. I will - I didn't know they were stocking them. Nice review Mark , thanks for that . 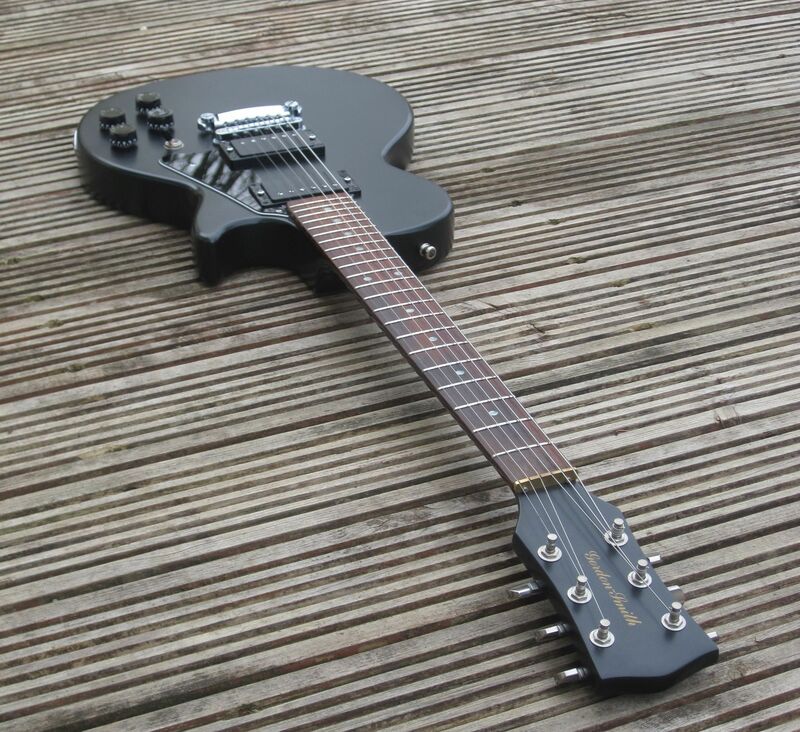 As ( we believe) the most recent owner of the "really nice" GS 1.5 @MarkV used to own , and mentions in his review , I can confirm that , after a pro setup by KGB in Birkenhead , including a fret reprofiling and a new and better bridge , it is currently receiving a lot of love , when my life improves I might even upgrade the pickups . 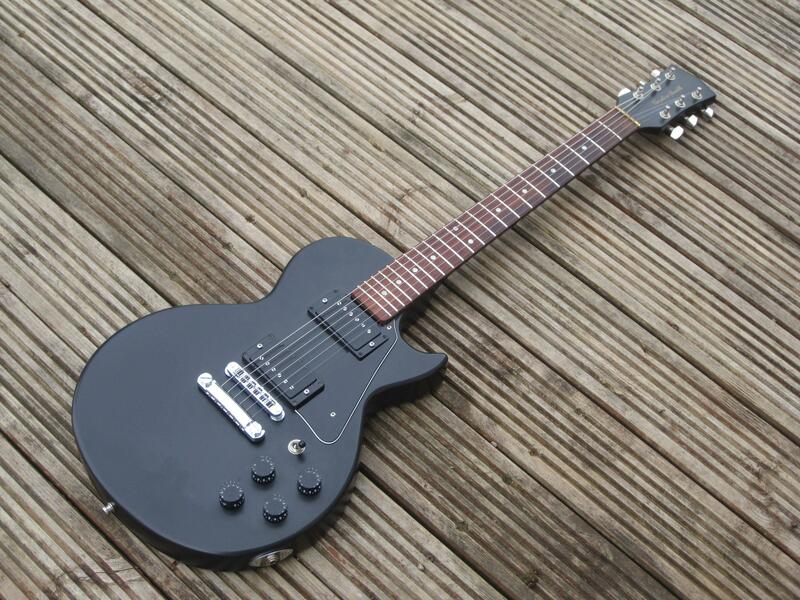 I love the thin lightweight body , and it has the slimmest neck of any guitar I've ever played. I've always been a fan of Gordon Smiths , and used to drool over them through the window of a local music shop back in the mid eighties, its great to see that they are still going strong , maybe stronger than ever. .... can you guess what his name was? I didn't need the constant reminder , luckily time heals. @Tempest looks cool. How do you get on with the GSG bridge? I found it a bit awkward. excellent review....bang on the money. I went to a guitar expo years ago in London and bought the base model --ex demo- from the GS stand....in semi matt mahogany? A great little guitar......the only thing that I changed was a swap to get rid of the brass nut for a bone one.. Used for about 18 months before someone offered more than I had paid for it ...... so it went. You stupid boy Pike !! I have never played a bad one of these.I owned one in 1989 and a couple of students who played them.Great guitars to have around.Has I get older I prefer the more basic Les Paul types.